Located in Historic Folsom, in the Gaslight Building. 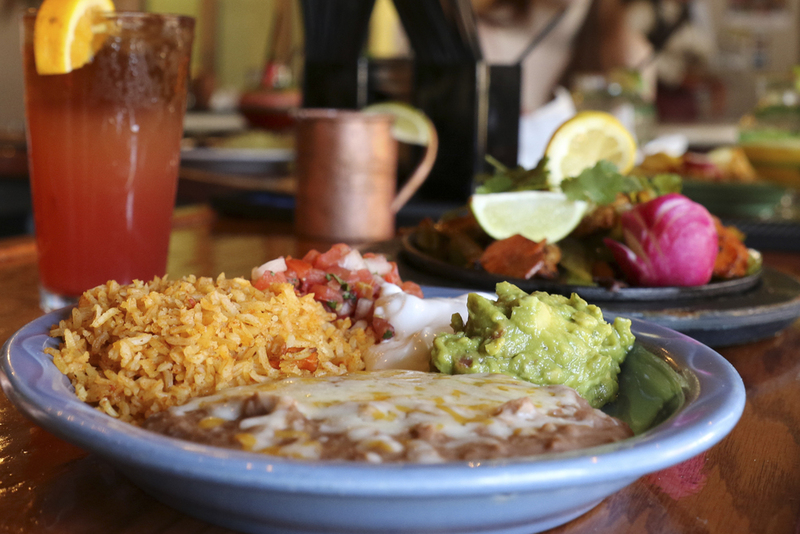 Q'bole Mexican Restaurant & Cantina is a purveyor of authentic regional dishes inspired from Mexico. Q'bole is located in the historic Gaslight Building upstairs on the second level terrace. See our happy hour menu below for specials! Please advise your server of any food allergies. Both of our house red sauce & mole sauce contain peanut butter. avocado, tomato, cilantro, onions and lime juice. homemade corn tortilla chips, topped with refried beans, melted cheese, sour cream, guacamole, marinated red onions, tomatoes, jalapeños and your choice of shredded chicken or ground beef. deep fried flour tortillas filled with shredded chicken. served with our famous chipotle sour cream. 10 medium wings served with ranch dressing and celery. bean & cheese nachos topped with jalapeños and pico de gallo. 1 cheese quesadilla, 3 jalapeño poppers, 3 medium Q'bole wings. chipotle seasoned chicken broth with shredded chicken, corn, avocado, Mexican cheese and crispy tortilla strips. assorted fresh seafood in a spicy seafood broth with seasonal vegetables. served with cilantro rice. choice of meat (ground beef, shredded chicken or beef) on a crispy flour tortilla with beans, melted cheese, lettuce, tomato, marinated red onions, avocado and topped with sour cream. grilled marinated chicken breast, romaine lettuce, nopales, tomatoes, avocado, cucumbers. served with garlic cilantro on the side. grilled marinated chicken breast, romaine lettuce, tomatoes, avocado, cucumbers, radish, shredded carrots. topped with tortilla strips. served with your choice of garlic cilantro or ranch dressing on the side. giant flour tortilla stuffed with melted cheese and your choice of freshly ground beef, shredded beef or shredded chicken. giant flour tortilla filled with melted cheese and sautéed shrimp in our house special butter, grilled shaved corn and green onions. giant flour tortilla filled with melted cheese, bell peppers, carrots, onions and your choice of chicken, steak or both. giant flour tortilla filled with mushrooms, melted cheese, spinach, grilled shaved corn and green onions. grilled chicken breast covered with our mole sauce (dry chiles, fruits and spices). served with sautéed plantains, cilantro rice and black beans. garnished with sesame seeds. slow roasted pork served with salsa Mexicana (onions, cilantro, tomato and lime juice). served with sour cream, guacamole, pico de gallo, and cilantro rice with a side of black beans. fresh chicken, shrimp and crabmeat sautéed in white wine with onions, tomato and mushrooms. topped with melted cheese and served with a side of cilantro rice and black beans. 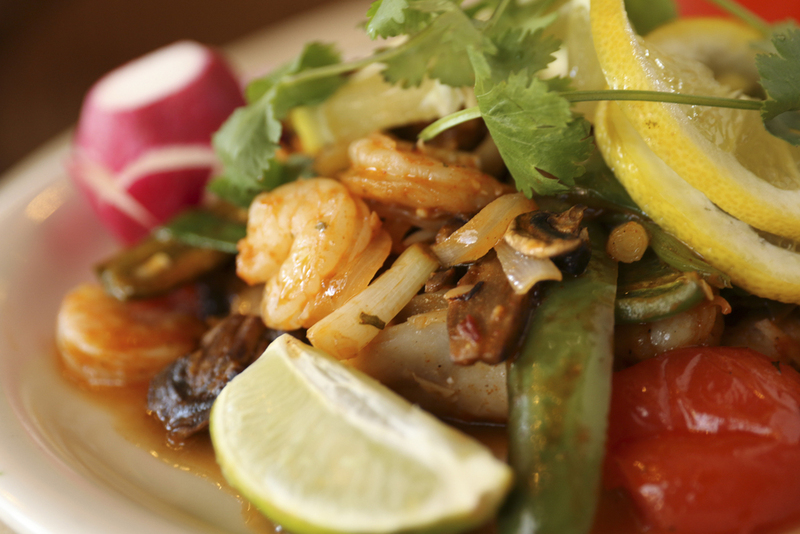 Pacific Red Snapper sautéed with shrimp, mushrooms, onions, chile jalapeño, tomato and our house prepared butter sauce. served with cilantro rice and black beans. slow roasted pork covered with salsa tomatillo. served with Mexican rice and refried beans. fresh boneless chicken breast sautéed with onions, mushrooms, and our special house tomato sauce. served over a bed of Mexican rice and melted cheese, and a side of black beans. fresh boneless chicken breast sautéed with onions and chile poblano tatemado in our famous house cream sauce. served with cilantro rice and a side of black beans. 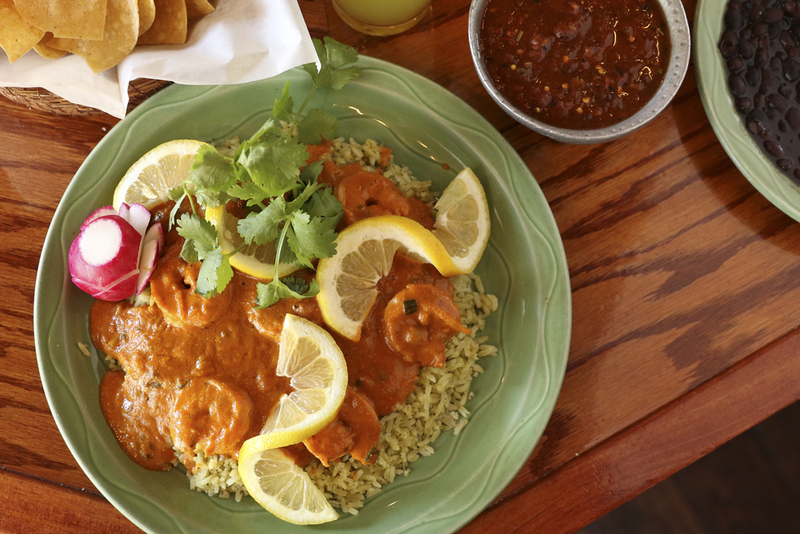 chunks of chicken breast, sautéed with onions, bell peppers, and our special house made chipotle sauce. served over a bed of cilantro rice and melted cheese with a side of black beans. grilled juicy outside skirt steak served with grilled cebollitas, a charbroiled elote and a side of cilantro rice and black beans. steak, onions, jalapeños sautéed in our special house made red sauce. served with Mexican rice and a side of refried beans. shrimp sautéed in our house tomato sauce with white wine, onions, tomato and mushrooms. served over a bed of Mexican rice and melted cheese and black beans on the side. shrimp sautéed in white wine, garlic, onions, tomatoes and mushrooms. served over cilantro rice with black beans on the side. shrimp sautéed in our house chipotle cream sauce, white wine and garlic. served over a bed of cilantro rice with black beans on the side. shrimp wrapped in bacon and cheese then deep-fried. served with Mexican rice and a side of refried beans. served freshly made, hot & sizzling to your table with bell peppers, carrots and onions. your choice of chicken, beef, combo (chicken & beef), shrimp or trio (all three). served with Mexican rice, refried beans, sour cream, guacamole and pico de gallo. fresh marinated fish, shrimp, mussels, clams, calamari, onions and mushrooms served to you piping hot & sizzling to your table. served with cilantro rice, black beans, guacamole, sour cream and pico de gallo. fresh vegetables consisting of mushrooms, onions, zucchini, carrots and other seasonal vegetables. served with cilantro rice, black beans, guacamole, sour cream and pico de gallo. A grilled plantain, charbroiled elote, spinach and other seasonal vegetables. Served with cilantro rice and black beans. shredded chicken served with Mexican rice and refried beans, topped with sour cream. shredded chicken served with cilantro rice and black beans, topped with sour cream and green onions. choice of ground beef, shredded chicken, or shredded beef, wrapped in a giant flour tortilla, with Mexican rice, refried beans and cheese. topped with guacamole, sour cream, onions, tomatoes, salsa and Mexican cheese. 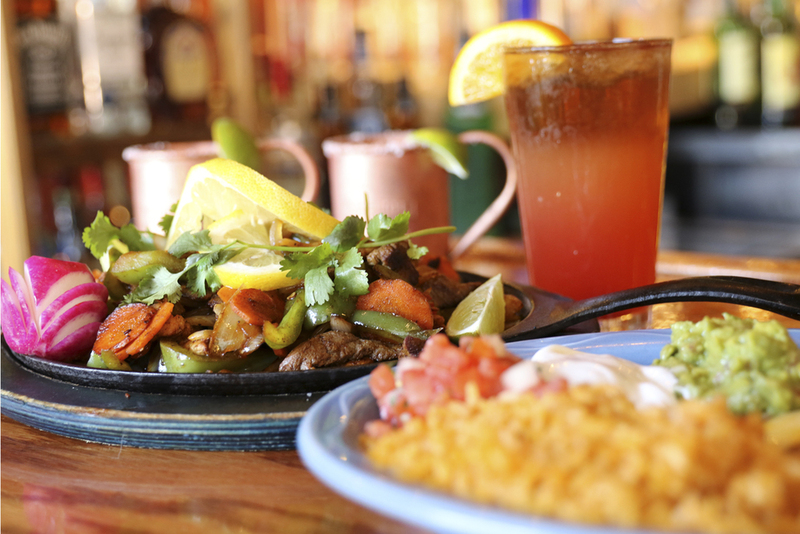 choice of our marinated grilled chicken or steak with onions, bell pepper and carrots, wrapped in a giant flour tortilla with Mexican rice, refried beans and cheese. topped with guacamole, sour cream, onions, tomatoes, salsa and Mexican cheese. giant flour tortilla filled with sautéed seasonal vegetables, black beans, cilantro rice, cheese, sauce and topped with lettuce, guacamole, sour cream, pico de gallo and Mexican cheese. two corn masa boats filled with shredded chicken. Topped with lettuce, sour cream, tomato, avocado, marinated red onions and Mexican cheese. served with refried beans and Mexican rice. three tacos stuffed with shredded beef or shredded chicken, mashed potatoes and fried to a golden brown, topped with lettuce, tomatoes, marinated red onions and sour cream. served with a side of refried beans and Mexican rice. three corn tortilla tacos with battered shrimp or battered red snapper, melted cheese, lettuce, marinated red onions and guacamole sauce. served with cilantro rice. three soft corn tacos, one carnitas, one grilled chicken and one carne aside. topped with cilantro and onions. delicious caramel custard that will melt right in your mouth and make your taste buds very happy. vanilla ice cream covered with breading and fried to a golden brown. served in a crispy flour tortilla bowl with whip cream and strawberry sauce. fried plantain served with la lechera milk served with kahlua ice cream. sweet, crunchy and delicious cinnamon bread sticks fried to a beautiful golden brown. served with vanilla ice cream. vanilla bean, Mexican hot chocolate or Kahlua. Served 11:00 am – 3:00 pm Monday through Friday (except for holidays). choice of shredded chicken or beef, or freshly ground beef on a crispy flour tortilla with beans, melted cheese, lettuce, tomato, marinated red onions, avocado and topped with sour cream. grilled marinated chicken breast, romaine lettuce, nopales, tomatoes, avocado, cucumbers. served with garlic cilantro dressing on the side. giant flour tortilla stuffed with melted cheese and your choice of freshly ground beef, shredded beef or chicken. Served with guacamole, sour cream and pico de gallo on the side. three soft corn tacos, one carnitas, one grilled chicken and one carne asada. topped with cilantro and onions. choose between one enchilada, tostada, taco, chimichanga, wet burrito, flauta, chile relleno (un-battered) or tamale (chicken or sweet corn tamale). choice of shredded chicken or beef, or freshly ground beef or cheese. Served with Mexican rice and refried beans. choice of freshly ground beef, or shredded chicken or beef, wrapped in a giant flour tortilla, with Mexican rice, refried beans and cheese. topped with guacamole, sour cream, onions, tomatoes, salsa and Mexican cheese. Mexican sandwich on a soft Telera roll filled with your choice of carnitas, carne asada or grilled chicken. served with avocado, tomato, onion, lettuce, refried beans and jalapeños. scrambled eggs with cheese, bacon, potatoes, avocados wrapped in a flour tortilla. served with Mexican rice and refried beans on the side. two scrambled eggs with Mexican style sausage, onions, tomatoes and jalapeños. served with Mexican rice and refried beans on the side. two eggs over-easy on corn tortillas topped with Mexican salsa (onions, tomatoes, jalapeños). served with Mexican rice and refried beans on the side. crispy corn tortillas strips with your choice of ranchero or tomatillo salsa. topped with two over-easy eggs, onions, sour cream, Mexican cheese and avocado. served with Mexican rice and refried beans on the side. Tap in to the best Happy Hour in Folsom, CA! Let the party start at Q'bole! 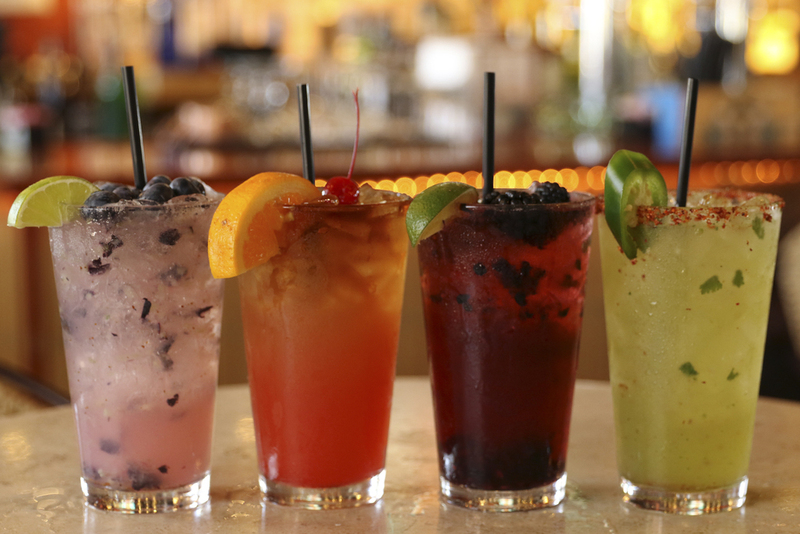 draft beers, wine by the glass, cocktails, margaritas and more. Nachos with shredded chicken, shredded or ground beef. Happy Hour food specials are not available on to go orders. 21 and older to consume alcohol. When it's time to party, Q'bole has you covered with our famous and deliciously prepared party platters! All trays and platters serve up to 12 people. Choice of shredded chicken, beef, cheese or ground beef. 24 enchiladas per tray. Choice of nachos, chimichanguitas or quesadillas with shredded beef or chicken. 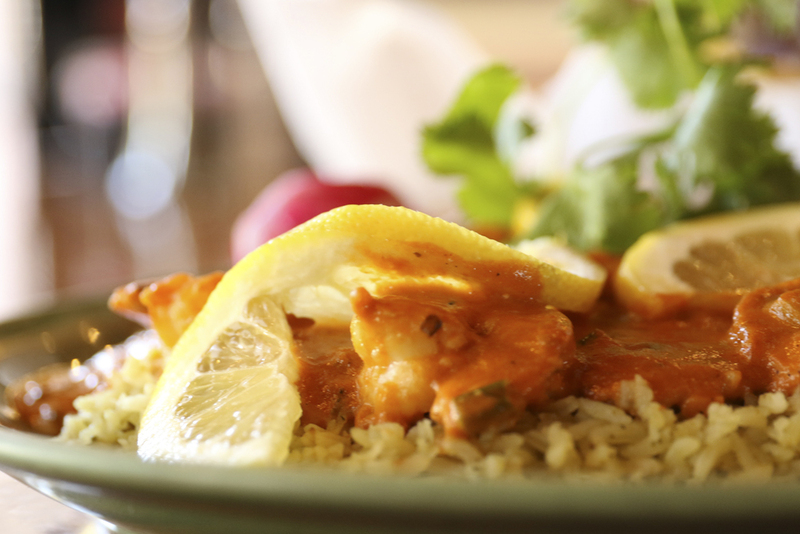 Choice of grilled chicken or beef, served with Mexican rice and refried beans. Comes with 26 corn or flour tortillas, chips, and large containers (32 oz) of guacamole & pico de gallo. Assortment of sauteéd vegetables including mushrooms, onions, zucchini, carrots, bell peppers and spinach. Served with cilantro rice and black beans. Comes with 36 corn or flour tortillas, chips, and large containers (32 oz) of salsa, guacamole & pico de gallo. Slow roasted pork topped with marinated red onions. Served with cilantro rice and black beans. Comes with 36 corn or flour tortillas, chips, and large containers (32 oz) of salsa, guacamole & pico de gallo. Enchiladas and tacos (12 each) with shredded chicken, beef or ground beef. Served with Mexican rice, refried beans, lettuce, chips, and large containers (32 oz) of cheese, pico de gallo and salsa. Fresh romaine lettuce, radish, grilled shaved corn, tomatoes, avocado, cucumber. Served with our house ranch or garlic-cilantro dressing on the side. Individual trays of just beans or rice. Homemade caramel custard which may be cut into 12 or 24 smaller pieces. Good flan takes time! Please allow for 24-hr notice. Disposable Plates & Utensils for 24 people may be included for $16. Please allow 2-hours notice for all customer pick up orders. Please call us 24-hours ahead to order and schedule delivery at (916) 357-5242. For disposable aluminum platter trays: minimum order of $250 plus 18% of order total. For chafing dish service: minimum order of $500 plus 20% of order total. Chaffing dish set up and pick up included. house tequila, Q'bole margarita mix, triple sec. house tequila, Q'bole margarita mix, triple sec and a splash of orange juice. Maestro Dobel premium tequila, Q'bole margarita mix and triple sec topped with Gran Gala. Jose Cuervo traditional tequila, Q'bole margarita mix, triple sec, Gran Gala float with a splash of orange & cranberry juice. 1800 Reposado tequila, Q'bole margarita mix and triple sec topped with a floater of Gran Gala. choice of strawberry, mango, peach, raspberry or passion fruit. Herradura Silver, sugar, fresh squeezed lime juice, crushed lemon, orange & ice. Maestro Dobel premium tequila, Q'bole margarita mix and triple sec. Herradura Reposado with Original Cointreau orange liqueur, Q'bole margarita mix and triple sec. served on the rocks. Gran Centenario Añejo, 100 year Grand Marnier liqueur, Q'bole margarita mix and Cointreau orange liqueur. served on the rocks. Don Julio Añejo, 100 year Grand Marnier, Q'bole margarita mix and Cointreau orange liqueur. served on the rocks. house tequila, agave nectar and lime juice. Have a suggestion? Need to book a large party or catering event? We would love to hear from you! If you would like someone from our restaurant to contact you, please use the form below. We respect your privacy. Thank you for your inquiry! We will contact you shortly. If you need to speak with someone immediately, please call (916) 357-5242 during normal business hours. 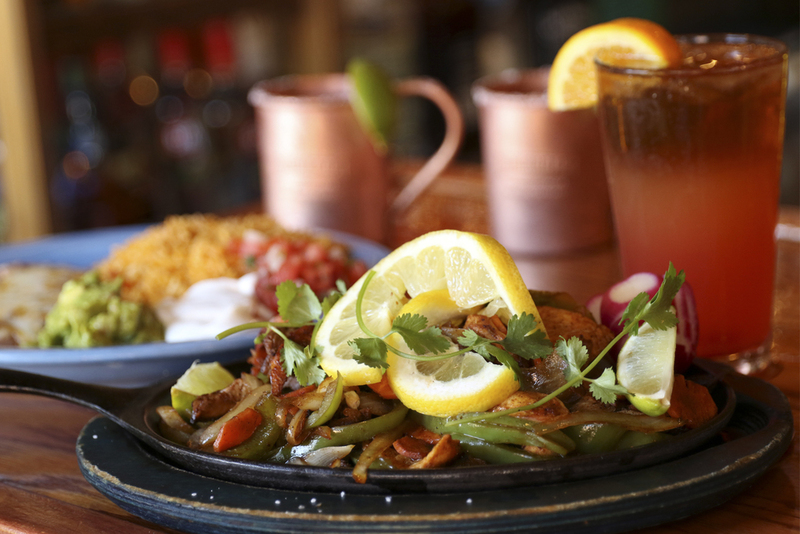 The best authentic Mexican cuisine in Folsom, CA. 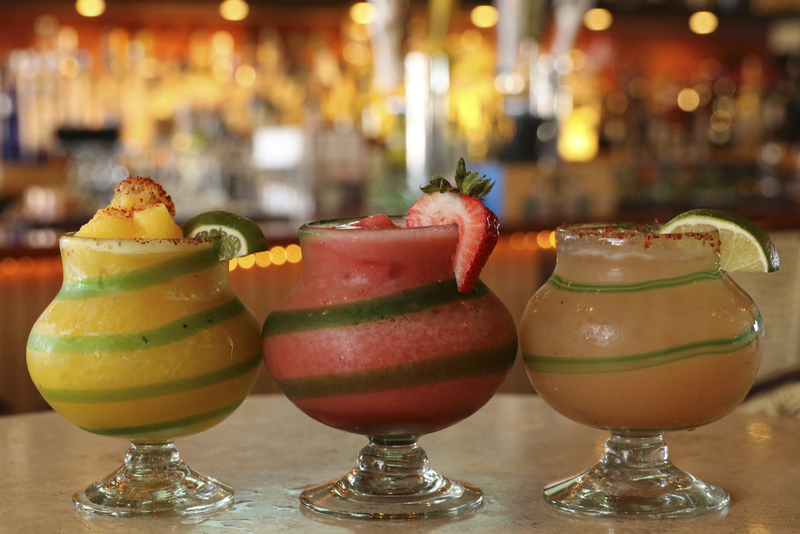 Come experience the art & culture of Mexico at Q'bole Mexican Restaurant & Cantina.